Bet my readers wonder what happened to me the last few days. Long story short, we have been in Washington state for the last week (and for a few days more) visiting family and taking a brief respite from the rigors of work life (and even from the rigors of whole foods plant based eating in a few instances). My grandson Charles got baptized on Saturday, and that was the real reason we came to the Seattle area. However, we have spent time doing some traveling and sight seeing (more about this will be on my Less Beaten Paths travel blog in the next week or so). A vacation is a time to take a break…relax, sight see, visit family, eat out, etc. This trip has seen a good deal of that. But, it has not been all easy. 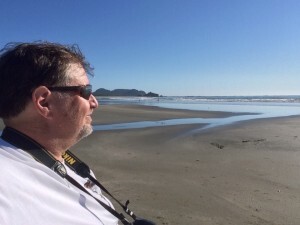 I am still getting a good deal of walking in despite the nagging pain of Plantar Fasciitis on my heel and the occasional knee pain. In fact, on our second day here we took a ferry over to Seattle and spent most of the day walking around the downtown area. 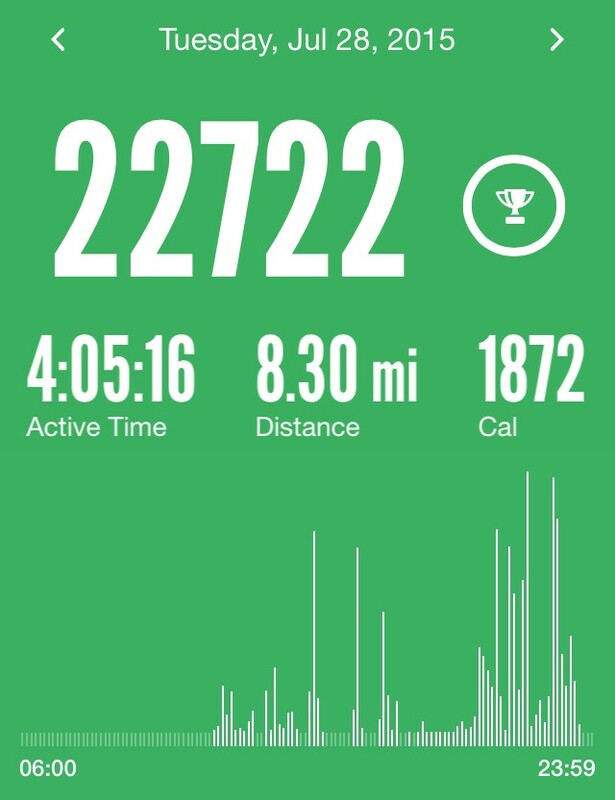 I got in a whopping 22,722 steps (according to my Argus app). That boiled down to 8.3 miles of walking. 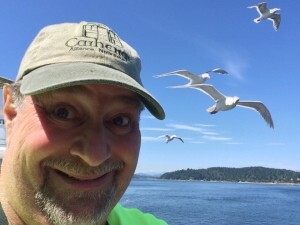 I have had a couple of other days of good walks as we visited the northwest corner of Washington in Neah Bay, made a trip to Seattle to visit the LDS temple, went to the Point Defiance Zoo in Tacoma and made our way on a small hike at a local state park. It has been wonderful and enjoyable but not without some challenges. A personal best in walking for one day. 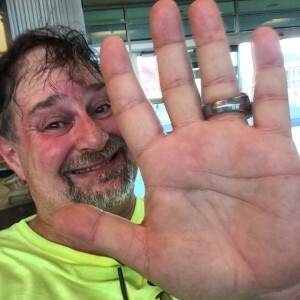 Though lots of stops and breaks, I still got the exercise in and sweat a good deal. One step at a time! Perhaps the biggest challenge is the eating part. When home it is easy to control what we eat as we get our Bountiful Baskets and have plenty of veggies in the house. We don’t have the temptations of some of the “yummy stuff” like burgers or pizza or lasagna. Needless to say, there have been a few “dietary vacation” times on this trip. Do I feel guilty about them? No, not at all. Indulgences are still my decisions…and I feel good knowing that I have had very few of them. 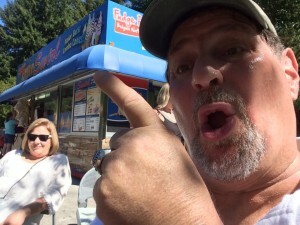 One example was our visit to the offbeat and fun Fat Smitty’s in Port Townsend, WA. 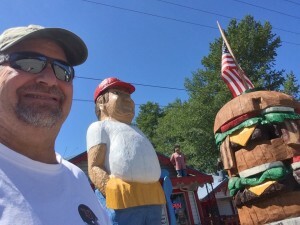 This place is known for its quirky interior and exterior…over $10,000 in one dollar bills plastered all over the interior walls and some great wooden art on the outside. Ultimately, they are a burger joint and make some whopping big burgers. They also have chicken and fries. Nothing “healthy” or “vegan.” I admit (I did promise to be transparent! ), I had a cheeseburger…but no fries. I even skipped the chips. On another occasion we went to Seattle to visit the Temple. On our way we stopped at a Thai place in the “Microsoft District” of Bellevue. 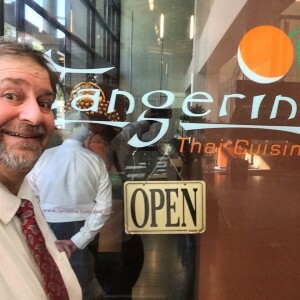 The place was called Tangerine Thai Cuisine and was a nice place. My son in law wanted to come here just for the Halibut (Curry). But I ordered their SIZZLING PLATTER which consisted of broccoli, carrots, mushrooms, Thai basil in a tasty chili pepper sauce and added tofu. It was served on a sizzling platter..much like fajitas. I ordered with extra spice and it was amazingly delicious! And it was all veggies…so I stuck with it. 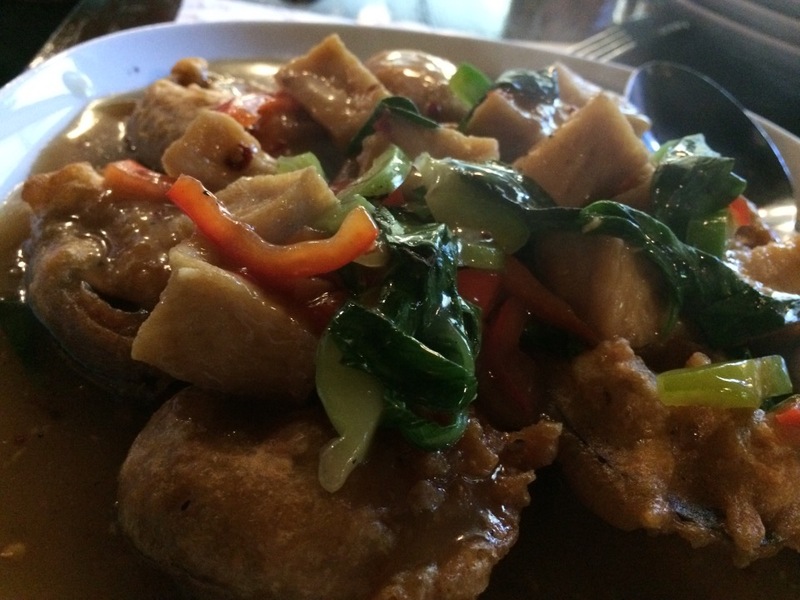 Julianne had an amazing dish as well…she enjoyed the Crispy Fried Eggplant topped with black bean gravy sauce, bell pepper and basil and had some tofu. I had a taste and it was luscious! 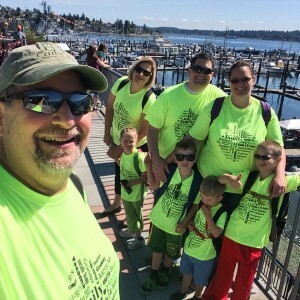 On another day trip, we visited the Point Defiance Zoo in Tacoma. Nice little zoo. Lots of walking. I got in over 9600 steps (about 5K), but needed a few sit down sessions due to heel pain. On such session we sat down next to a concession stand with some delectable delights. I “Just Said No” to these and didn’t indulge. But, I did indulge in a soft serve Dairy Queen chocolate dipped cone the night of the temple trip. It was 90 degrees out, we were all hot and we wanted a treat. The DQ treat was a nice addition. Overall, the vacation has been predominantly pretty good in terms of a “dietary vacation.” I have felt good. The new jeans I bought before we left actually had to be pulled up a few times while at the zoo. When I bought them they just barely fit. I am not sure if I have lost or gained or stayed the same while on this trip. But, I am confident that I have not veered too far of the course. My Downhill Climb to get under 400 pounds continues. Soon I will be back in Lexington and back on a daily regimen of exercise and eating whole foods plant based. Today is Bountiful Baskets contribution day, so Saturday we will have a load of good fruits and veggies. I’ll start going to the gym a couple of times a week as well, which will keep me exercising, but may help in easing the stress on my heel.